Use with your Lightning and Micro cables -- Priced for Students! Wall power charger adapter allows charging at home or in the office via USB cable connection. Simply plug in the USB cable, and plug in the adapter to the outlet. Use with your Lightning and Micro cables. Compact, lightweight, stylish, and easy to store. 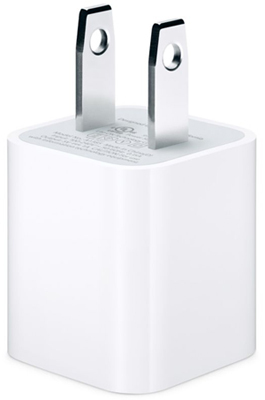 This wall charger chargers your iphone, iPad, or any other portable usb devices quickly. Ideal for charging iPhone, iPad's, Samsung devices and more. Lightweight and portable design allows for easy storage and convenience. Simply connect with a USB cable (not included, but available from us at a great low price) and plug it into a wall.